The Assembler Ribbon provides rapid creation of pre-defined, recurring PDQ templates, known as Blueprints, by linking the latest content to the needed proposal output. When a Blueprint is assembled, content from the Content Portfolio replaces each tag or check box in the document. The result is a quickly generated and beautifully formatted document with the most up-to-date content customized with automated placeholders and replacement fields. 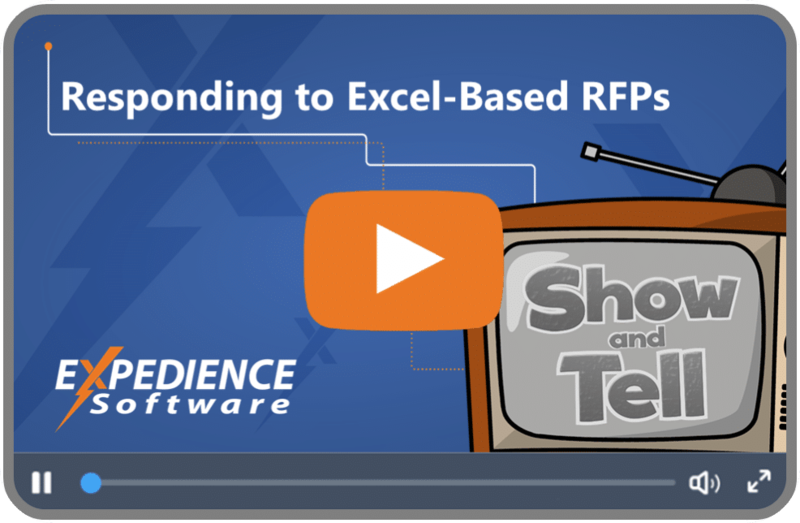 Blueprints can guide your sales team through creating a quick and stress-free proposal by simply clicking on checkboxes and filling replacement fields. The result will be accurate, beautifully formatted documents without taking proposal writer’s time away from more critical proposal tasks. 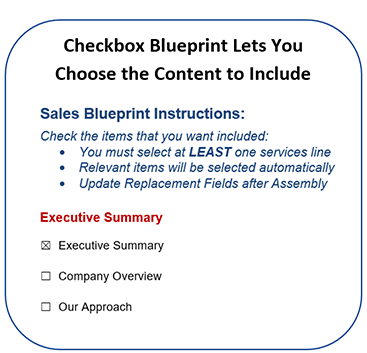 Like the other automated PDQs, Blueprints can be customized in a variety of ways to add greater levels of automation and control, such as adding conditional logic to the checkbox forms. Such extensions do require custom programming which are scoped separately.